You've just looked at it--I don't know if you're the same person who looked at it on Saturday, but please buy it. We tarted up the kitchen with those stainless steel appliances. It took me endless crap with Home Depot to get the stove--and I ended up buying it at Loewes--and it's a good stove. It's very similar to the one I bought for my own new house, only mine is white. And the fridge is the same fridge. I took my lovely white one, the one I got last November, with us. But I bought you one that is almost as good. I know the counters are laminate, not granite, but they're new, and so is the sink. And while some of the cabinets ARE 12 years old, some of the others are new. And they're all good cabinets. It's a small kitchen, but you are getting my lovely work counter with the full length drawer that was so good for my knives and utensils, and my baking cabinet below. The floor is pretty linoleum tile. I remember the Man putting it in. SC helped him--she was only 8 or 9 then. It's not new, but it's a good pattern that never looks dirty, and won't hurt your feet when you're standing on it to cook. I miss it, and will replace the crappy floor in my new house with something similar, once we have money again. Once you buy my house. Did you notice the huge, lovely living room/dining room?There's lots of room there now that the Man's crap is gone. We had parties there with all our stuff--just think of the parties you can have without 10 zillion books taking up the space! You get my beautiful parquet floors, newly refinished, so that years of babies and kids and cats have been erased. You get my beautiful double windows, all looking out to our brick patio. There's about 2 tons of brick there, bricks that the Man and I removed and that were newly reset. You can sit there, looking out at the lovely woods. You get the stairs with the landing where the cats used to play and where I'd sit, looking out the window. Six different cats lived with us in this house. You get my bathroom with the pretty shower tiles. It's newly painted, and the old ugly tile is gone. This is the house we moved into when SC was a baby. The house where I was pregnant with JR. You get the rooms where my girls grew up, and my bedroom, with its wonderful 2nd floor view into the trees. You'll have the green light that filters in as the leaves sway. You'll see the beauty of the snowy woods, and the slope where we sledded.There are deer. And foxes. And all kinds of birds. For 20 years it was my house. And I loved it. It was my home, my nest, my safe place. But we've moved, and I'm learning to love my new house, and I need to sell this one so that I can pay my brother the money I owe him, clear the credit cards, and have money for the things the new house needs. So please buy my house. And love it, and be good to it. SC: Age 22 (how did that happen?) Book addicted like both her parents. Serious, but with a nice sense of humor. She's in college now but still at home, and I'm glad of it, because she's really become a pleasure to have around. JR: Age 18 Bright, beautiful and struggling with teen angst. Loves her boyfriend, hates that she is going to community college, but so far has no other life plan. Argh.. The Beasts: Our 2 cats, both adopted from animal rescue. 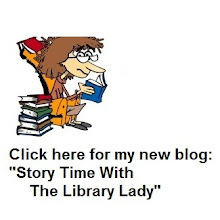 Looking For Story Time Themes? Recent Posts From "Story Time"